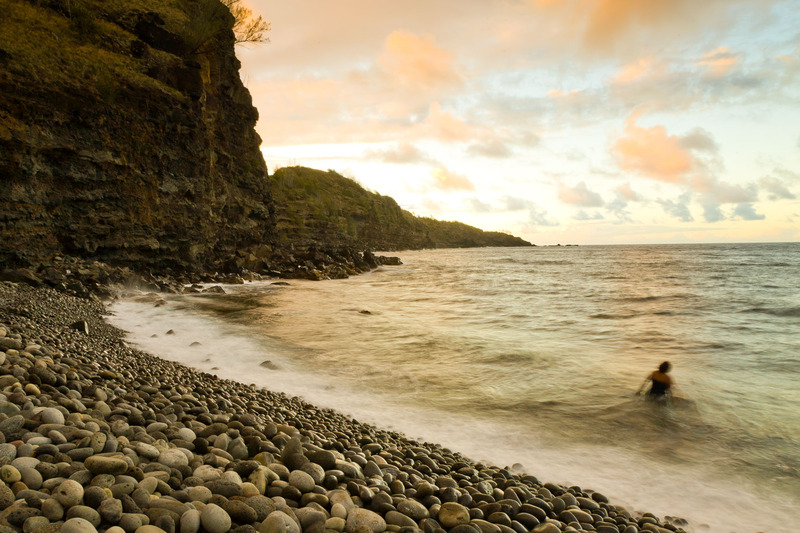 The cobblestone beach at Kahakuloa where locals fish. Kahakuloa Village on the rugged North Shore of West Maui, Hawaii has been occupied by Hawaiian people since around 300 B.C. It was a city of refuge, much like the more famous one on the Big Island of Hawaii. It's population hovers around 100, most of whom are direct descendants from the village's original inhabitants.